We know it can be confusing and comforting when you’re purchasing a vehicle and the salesperson walks you to an aftermarket rep, who is a trained sales agent. They have been trained and paid to close you on the product they have on offer. After having a read of the below, we hope that you are more equipped with questions to ask them back to see if what they are selling you is true protection and worth the considerable expense they have cut up over weekly instalments. Consumers are tired of car dealers who sell “paint protection” and charge a large number of dollars to simply wax a car and call it “protected”. There are countless reviews online, on how car dealers have ripped them off by selling useless products. THATS because more than 80% of Paint protections sold in most dealerships today are a limited basic Compound/core ingredient, be it wax, Teflon, polymer, silicone, or GLASS Plexin are just relabelled and marketed differently. THEY all give some shine and protection, but that’s where the similarities end. Car wax is predominately a “wax”, and just like any other wax, it melts in heat. UV RAYS & excess heat on paintwork that has been waxed, result in the wax softening, therefore losing shine and more prone to entrapping contaminants. Waxing is great for show cars, but show cars rarely sit in the hot sun all day. WAX will eventually wash off the car, leaving little protection. Waxes offer NO scratch protection and rate a 2H in pencil hardness on the MOHS scale (talc at 1 and diamond being 10). 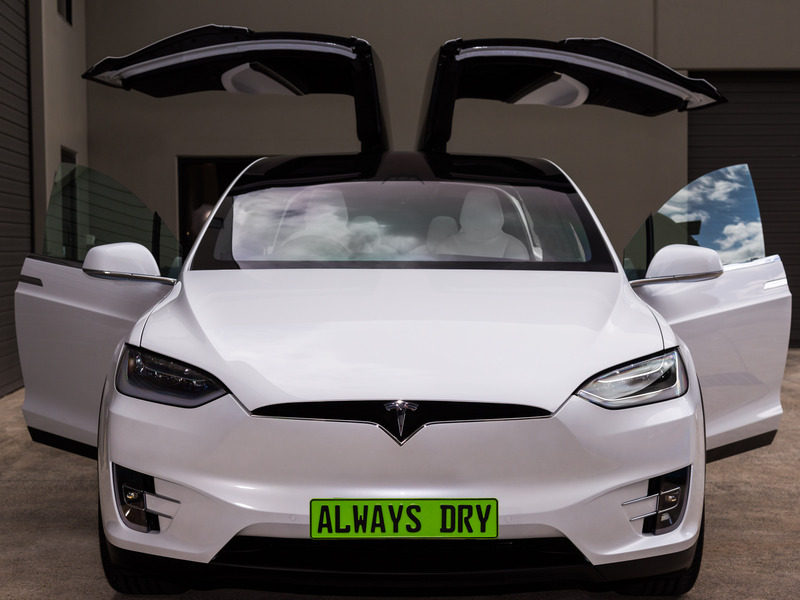 While waxes provide excellent temporary shine and excellent water repellency, they require a lot of labour and must be applied periodically (usually EVERY 2-3 WEEKS) to maintain the original shine. Polymer-based, so-called “nano” sealants such as Polytetrafluoroethylene or PTFE is also known as TEFLON offer good hydrophobicity (water repellency), shine and some level of scratch resistance measuring a 5H on the pencil hardness scale. As a protective coating, this needs to be re-applied every 6 months. The most superior AND MOST EFFECTIVE PAINT PROTECTION product known through trial and testing, are products with Ceramic nanoparticles. Ceramic coatings are silica-based OR Sio2 (glass is made 70% out of silica). The Ceramic coating itself consists of nano-glass particles made out of quartz sand. Pure quartz sand is extremely hard measuring 9H on MOHS scale. Ceramic Coatings or so-called 9H ceramic coatings are simply ultra-hard liquid glass infused with proprietary resins that chemically bond to the clear coat of the vehicle, literally putting an additional layer of protection on top of the paint. Because of the characteristics, the glass has, such as chemical resistance, water repellency, and the ability to self-clean, surfaces coated with ceramic glass coatings become chemically resistant, water repellent, self-cleaning, and extremely scratch resistant. Ceramic coats are also optically transparent and 10-20 times thicker than waxes and polymer coats. These qualities are what makes the ceramic coatings a highly desirable product. 9H-LDC PRO by always dry LLC is a revolutionary next generation product. Unlike most conventional 9H coatings, 9H-LDC PRO is dual-composite that consists of two different layers, ultra-hard 9H top layer and softer 7H bottom layer. Together they form a 4-5 micron thick coat on the surface of the vehicle. 9H-LDC PRO FORMS A SUPER STRONG chemical bond with the paint MOLECULES and becomes a PERMANENT part OF THE painted surface, unlike other products which only lie on top. 9H-LDC PRO offers an instant extreme water repellent effect. It reaches full 9H scratch resistant properties once fully cured in 48hrs hours. Being true 9H (ultra-hard) it offers better scratch resistance than any other 9H product available on the market today. You do not need to put 10 layers to get scratch protection like some other coatings. The extreme water beading effect and highly reflective shine are unmatched by any other product in the world. 9H-LDC PRO is professional grade. Once cured, 9H-LDC PRO cannot be removed by any chemicals, solvents, or car washes. It can only be removed by machine-sanding. 9H-LDC PRO coated vehicles require less cleaning and can be washed with 80% less water and virtually no chemicals. Imagine the savings in water and cleaning chemicals not to mention time and effort. This self-cleaning effect makes 9H-LDC PRO a very environmentally friendly product. What type of coating is it? Is there any corrective paint repair done before the coating? How many microns is the coating? What are you coating on the vehicle? How long will it last on the vehicle? A true ceramic with over 60% silica, applied to a prepped surface by a trained coating agent should never buff off. Which brings us to 1 last question. Can your protection be buffed off? A little video below on the care we take to prepare your investment before we coat it.